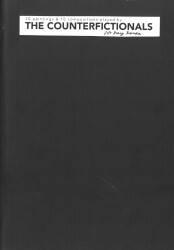 Rarely, if at all, do industrial and fine art come together in a package so well thought out (from concept and presentation to imaginative musical execution, and in the sheer invention and hyper virtuosity of the performing Danish musicians) than on the Counterfictionals production entitled No Hay Banda. No Hay Banda has been conceived of and directed by Kristoffer Rosing-Schow, a multi-instrumentalist who plays everything from bass clarinet to invented instruments such as the hydrofonium, described here complete with diagram, how it works and, best of all, how ethereally beautiful it sounds. Speaking of which there is the not-so-small matter of the music itself. The ten songs, bring back to life key scenes in famously well-made and notoriously badly made films from David Lynch’s Mulholland Drive (Counterfictionals’ song: Club Silencio), Sergio Leone’s For a Few Dollars More (song: Lee Van Cleef) to Alan Parker’s Angel Heart (song: Looking for Johnny Favorite) and Lars von Trier’s Antichrist (song: The Three Beggars). In each case, brilliant musicians get closer to the chilling, sardonic heart of the film – scenes depicted in the songs with immensely powerful performances combining cast-iron virtuoso discipline with heady imagination and sheer fantasy, all of which matches the originality of Rosing-Schow’s artistry and vision. Let neither the ironic band name nor the album title be lost in this magnificent mêlée of music either, for what could a name such as Counterfictionals suggest but No Hay Banda (There’s no band)? Since 2012, trumpeter Wadada Leo Smith has created several powerfully elegiac suites: Ten Freedom Summers, Occupy the World, The Great Lakes and America’s National Parks. With Rosa Parks: Pure Love, he returns explicitly to the theme of the first, the African-American civil rights movement. 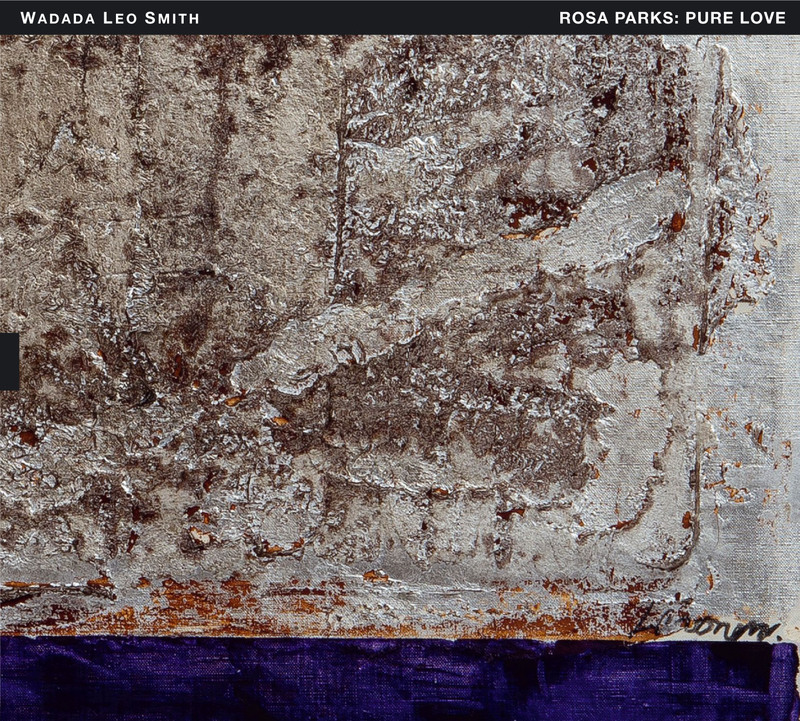 Rosa Parks is an oratorio, with music and songs by Smith, employing his distinctive compositional method that focuses on contrasting durations and textures. Smith’s heterodox ensemble includes a string quartet, a trumpet quartet, drums, electronics, pipa and three singers. From the dissonant fanfare, Smith has compounded his own idiom, at once intimate and multi-dimensional, in which strongly lyrical passages alternate with moody, atonal strings and sometimes harsh, flaring brass. Strong individual voices emerge out of the fissures opening in the collective sound: violinist Mona Tian, cellist Ashley Walters, drummer Pheeroan akLaff and Smith himself, soloing only in the penultimate movement. 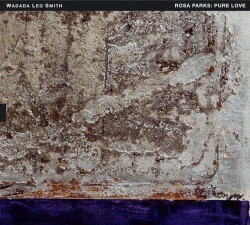 Smith has matched each song’s character, as well as range, to each singer’s voice: Karen Parks’ touch of gospel; Carmina Escobar’s hard-edged precision; and Min Xiao-Fen’s soaring command of microtones. Each brings a special presence to Smith’s multicultural palette. 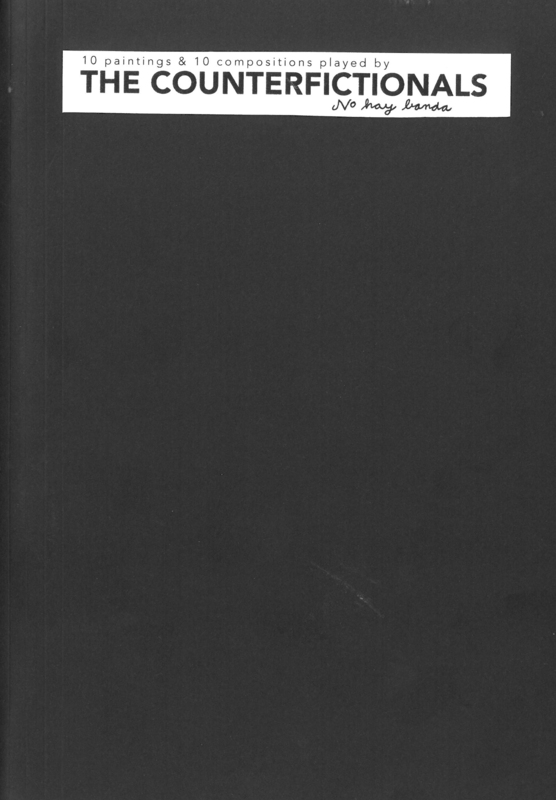 Embedded in the oratorio are excerpts of early recordings by Smith and close associates Anthony Braxton, Leroy Jenkins and Steve McCall, musicians who first played free music together 50 years ago, and who are, by extension, partners in Smith’s ongoing commemorations of the necessary struggles for freedom, reinforced in his concluding quotation from Martin Luther King. French actress Simone Signoret titled her memoirs, Nostalgia Isn’t What It Used to Be, and the number of uninspiring salutes to earlier jazz heroes or heroines easily bears out this sentiment. However, when the right player selects the right material to record from a celebrated predecessor’s music and – most importantly – puts his or her own spin on it, the release becomes more than an exercise in nostalgia. Each of these sessions shows how this feat can be accomplished. Ornette Coleman: Reflecting his influence on improvised music following his sudden arrival on the scene in the late 1950s, it’s no surprise that two of the sessions honour alto saxophonist Ornette Coleman (1930-2015). What is remarkable though is that neither group plays the same Coleman compositions. Plus each takes a diametrically opposite approach. 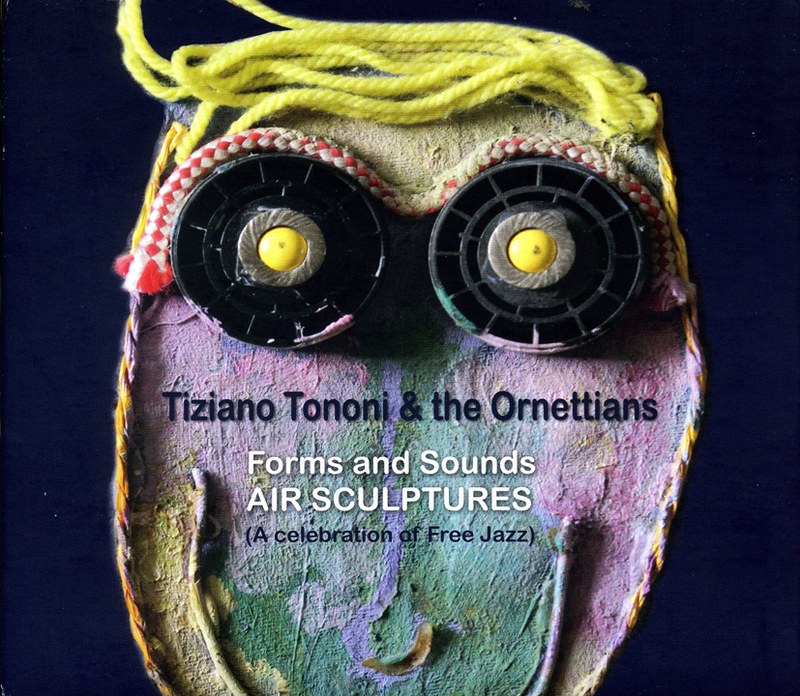 Italian drummer Tiziano Tononi & the Ornettians’ Forms and Sounds: Air Sculptures (Felmay fy 7058 felmay.it) features an 11-piece band which, besides nine compositions by Coleman, interprets Tononi’s The Air Sculptures Suite. 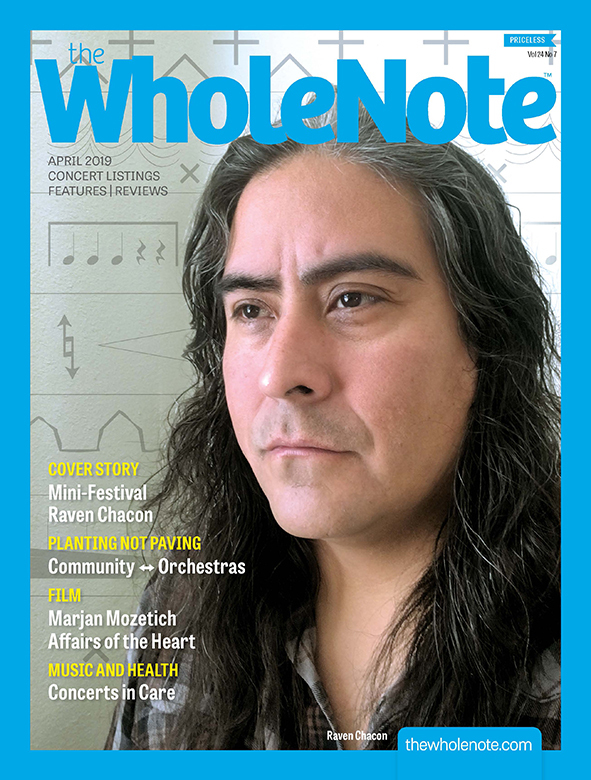 It’s not just Tononi’s indomitable rhythms from drum set and other percussion that animate his CD, but how soloists preserve their identities although immersed in Coleman’s sounds. Tracks such as the Tononi-composed Fireworks in N.Y.C and Fort Worth Country Stomp interpret aspects of Coleman’s music without copying. The latter track, for instance, is a country blues played with Italian panache featuring sharp staccato slurs and snorts from alto saxophonist Piero Bittolo Bon, spurred by backbeat drumming; while Fireworks in N.Y.C is straightforward swing, tempered by trumpeter Alberto Mandarini’s brassy and graceful solo plus hearty bass clarinet glissandi from Francesco Chiapperini. It climaxes with percussion outgrowths that are as African as American, highlighting Tononi’s cowbell and kalimba. This ingenuity remains with the Coleman compositions. The expected outlines of Peace for instance, are reconfigured when propelled by Tito Mangialajo’s walking bass line and penetrating twangs from Paolo Botti’s banjo (!). At breakneck tempo, Bittolo Bon’s high-pitched flute and Emanuele Parrini’s violin stops brighten the performance without losing the melody. Similarly Rushhour is played acoustically, but with a swelling sound reminiscent of Coleman’s electric band, and is led by Parrini’s sizzling double stops as Daniele Cavallanti’s bluesy tenor sax and the drummer drive everyone forward. Cavallanti brings the same intensity to Law Years paired with brassy upsurges from Mirko Cisilino’s trumpet. The lineup on Una Muy Bonita with Mangialajo and Silvia Bolognesi both playing bass plus Bittolo Bon and Chiapperini on alto saxophones, allows soloists to reconfigure Coleman with elevated tremolos or flutter tonguing as the dual basses propel the narrative. There are only six players on trumpeter Chris Pasin’s Ornettiquette (Planet Arts 301820 planetarts.org), but two of them, vibist/pianist Karl Berger and vocalist Ingrid Sertso worked with Coleman. Beside five Coleman tunes interpreted are two by Pasin and one by Albert Ayler. 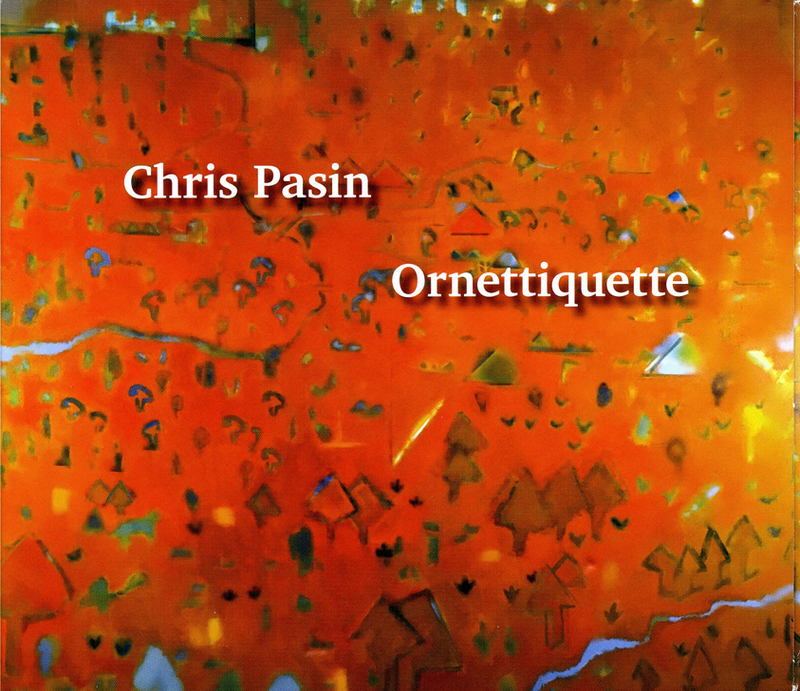 Mostly concentrating on Coleman’s earlier works, Pasin’s take on Ornettiquette is low key but inventive. For instance, as Karl Berger’s vibes elaborate Jayne’s theme, the band plays up its blues underpinnings at the same time as Pasin’s clarion blasts are pitched Maynard Ferguson-like high. Michael Bisio’s slap bass adds rhythmic emphasis and the finale is a timbral battle between Pasin and alto saxophonist Adam Siegel’s supersonic slurs. Ingrid Sertso’s scatting in tandem with vibraphone clangs and burbling horns almost transforms When Will the Blues Leave into jittery bebop. But her recitation of the title and response of “never” reasserts solemnity. 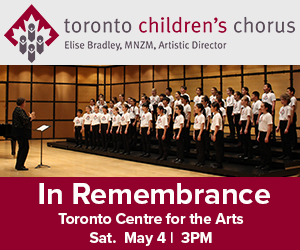 Pasin’s OCDC, saluting Coleman and his trumpeter Don Cherry is more linear than the dedicatees’ compositions. Plus the trumpeter’s quirky configuration of Cherry’s role is original. Walking bass and drummer Harvey Sorgen’s positioned whacks hold the bottom so that the horns can improvise freely. Someone who never stinted on the improvisational or melodic content of his own compositions was Canadian-born, London-based trumpeter Kenny Wheeler (1930-2014). 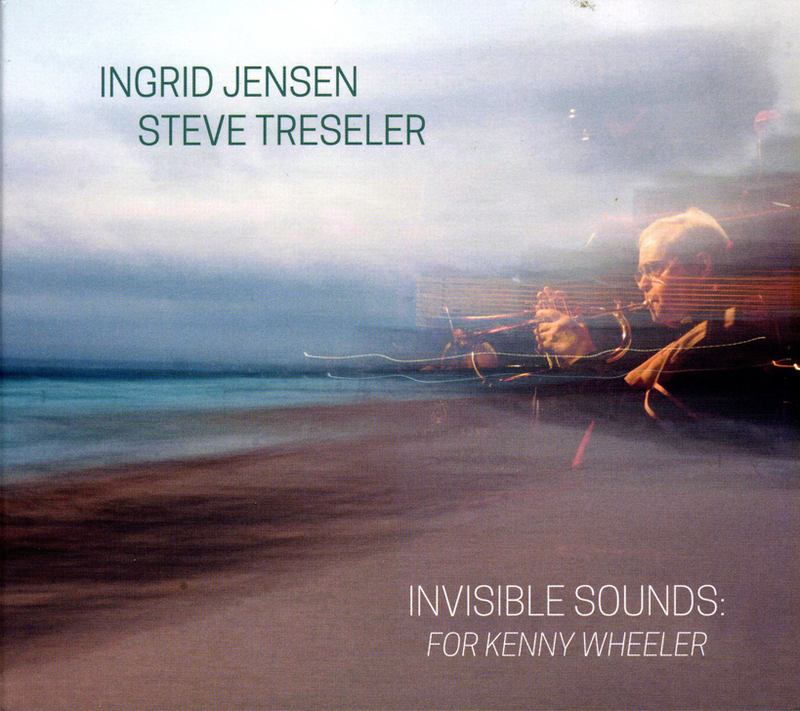 Fellow Canadian, trumpeter Ingrid Jensen and American tenor saxophonist/clarinetist Steve Treseler lead a seven-piece band on Invisible Sounds for Kenny Wheeler (Whirlwind Recordings WR 4729 whirlwindrecordings.com) playing nine Wheeler tunes that are audible, not invisible. Bookended by a studio and a live version of Foxy Trot, which in its live incarnation trots along courtesy of Jon Wikan’s crisp drumming and an array of arpeggios spilling from Geoffrey Keezer’s piano, the set emphasizes Wheeler’s versatility. Expressive ballads like Where Do We Go from Here are buoyed by mellow saxophone swoops and upward puffs from the trumpeter, as piano chording brings out its swing underpinning. Meanwhile, Old Time is an out-and-out funk tune with a stop-time narrative, shuffle beat, slurs and snarls from the tenor saxophonist and acrobatic pitches from Jensen’s open horn. Still the most characteristic interpretation is of Wheeler’s best known tune, Everybody’s Song but My Own. A minor key lament, its essence is reflected in harmonic horn melding, slippery tremolos from Keezer and Jensen’s supple mid-range pitch slides. Another composer who has a Canadian connection via her late ex-husband is 83-year-old Carla Bley. 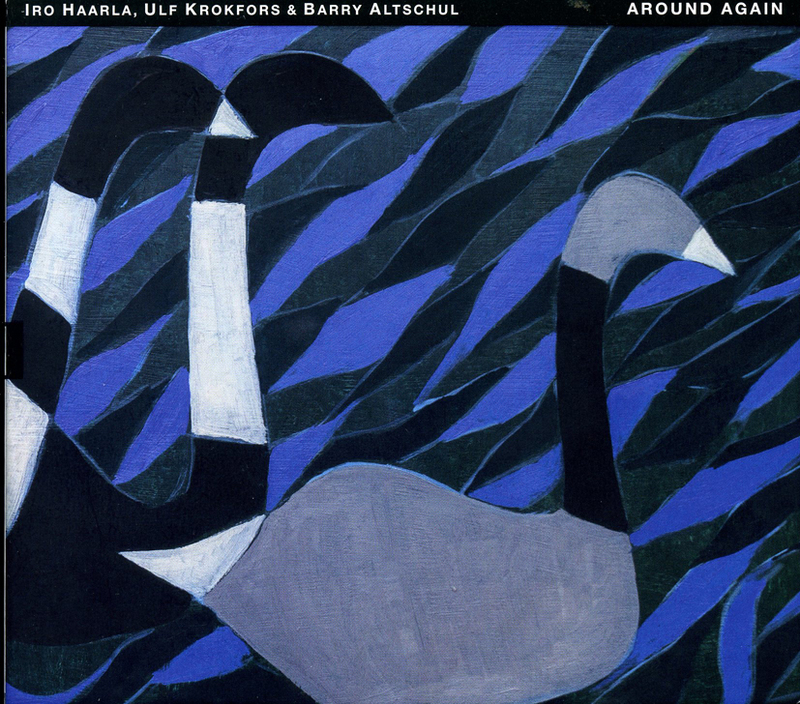 The 12 tunes played by Finns, pianist Iro Haarla and bassist Ulf Krokfors plus American drummer Barry Altschul on Around Again – The Music of Carla Bley (TUM CD 054 tumrecords.com) come mostly from her creative beginnings in the 1960s, coincidentally a time when the drummer was a member of Paul Bley’s bands that first played this music. 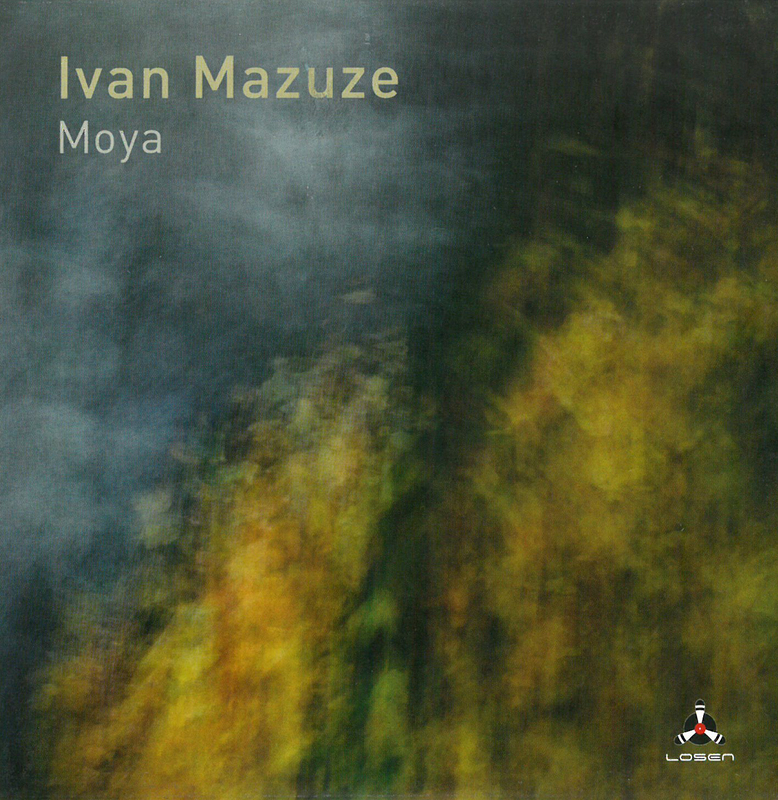 Expressing the compositions’ inflections, performances are almost uniformly unhurried and dampened with percussion accents, double bass stops and focused on piano-led themes played respectfully. That way motion and melody are exposed at the same time. The exposition on Batterie, for instance, picks up sonic colours from keyboard jumps and is extended with low-pitched bass-string stops and indirect percussion clatters, and then slyly redirected to the head. Squirming and swaying, Haarla uses kinetic glissandi to turn the title track into a fantasia that gives the bassist enough space for plump pumps. 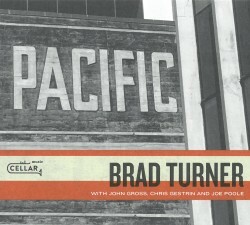 Appropriately and subversively, both And Now, the Queen and Ida Lupino are spun out in processional fashion, with the latter balancing Krokfors’ heated string stabs and Haarla’s cooler key manipulation; and the former cleanly sweeping up tempo with double bass prods that lead to unstoppable forward motion, soon intensified with variable and emphasized voicing from the keyboard. The only track to feature a drum solo that is suitably understated, Ũtviklingssang, composed by Bley in Norway not Finland, opposes Altschul’s press rolls and bass drum booms with Haarla’s recital-ready formalism that preserves the narrative. Fealty to a single influencer isn’t the only way to express admiration and adaptation of the concepts pioneered by earlier musicians. That ‘s what distinguishes Danish drummer Kresten Osgood’s two-CD Plays Jazz (ILK Music ILK 28LP ilkmusic.com) from the other discs here. Working with a tight, balanced quintet of trumpeter Erik Kimestad, tenor saxophonist Mads Egetoft, pianist Jeppe Zeeberg and bassist Matthias Petri, the five roar with the same inventiveness and ferocity through familiar standards, lesser-known compositions and a few originals by the drummer. Although the band plays well enough on compositions by the likes of Eric Dolphy and Thelonious Monk (whose Friday the 13th, spurred by Osgood’s vigorous ruffs and pops, becomes more brawny and atonal than the original) notable triumphs result with its permutation on lesser-known gems. James Cotton’s Blues in My Sleep is revamped from bedrock blues to improv. A snaky bass line propels the theme, which is spangled with brass discord and strangled reed slurs and comes to an unexpected halt. Jerome Cooper’s Monk Funk emphasizes the second word in the title via raspy, Southwestern near-R&B from the saxophonist and rugged percussion slaps. Egetoft’s sour-sounding solo prevents Kimestad’s graceful modulations on Randy Weston’s Little Niles from becoming too slippery, as do Zeeberg’s clipped piano lines. 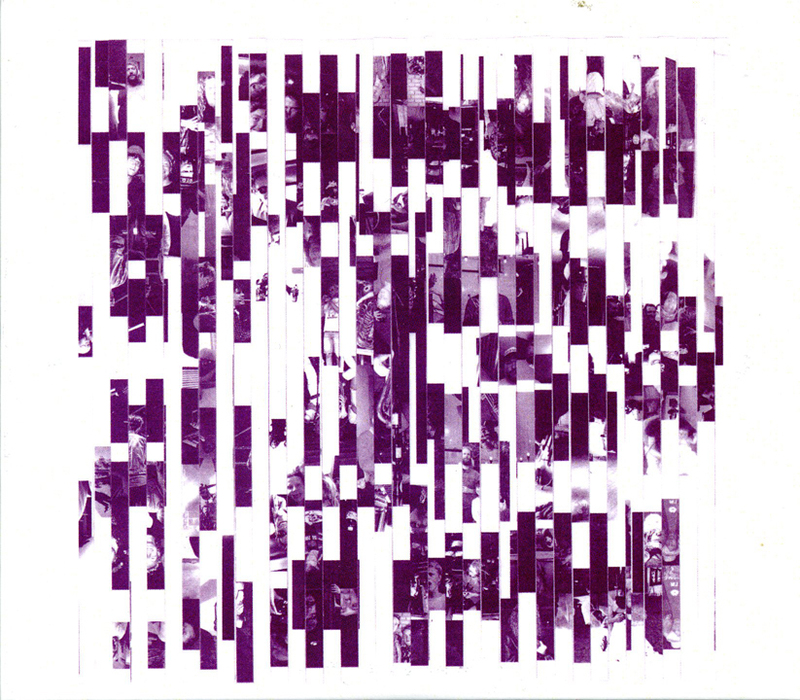 Finally Osgood’s Tchicai in Heaven, named for the Danish New Thing saxophonist, not only shows off his percussion prowess with an introduction based around press rolls and hi-hat smacks, but also includes sparse piano emphasis that highlights Monk’s influence on the avant garde and through it, contemporary European and American jazz. 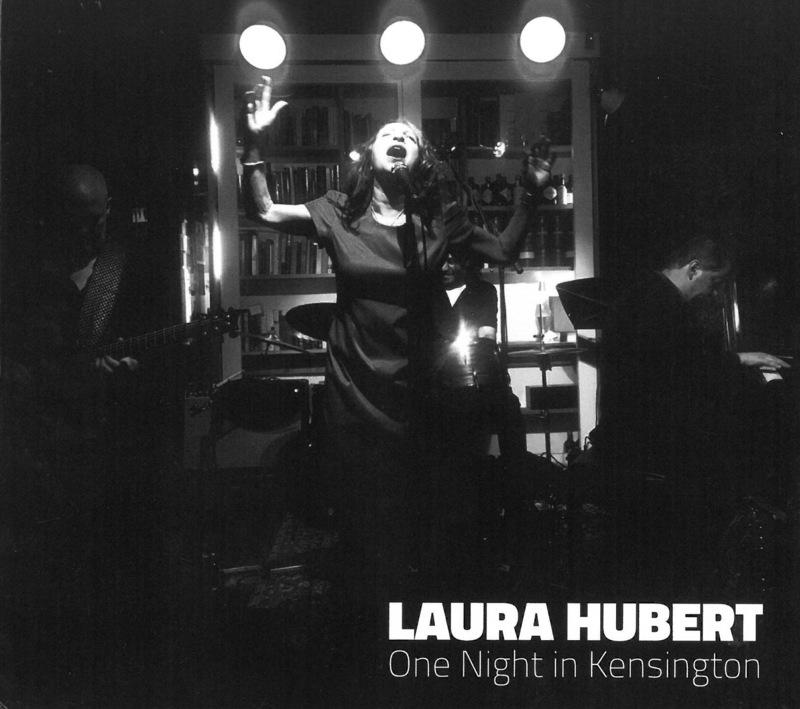 Toronto singer Laura Hubert would be familiar to many readers as the energetic vocalist of the popular JUNO Award-winning Canadian folk/rock band the Leslie Spit Treeo (1988-2000). 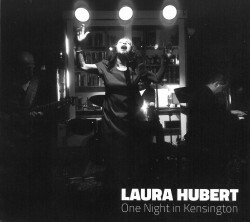 Hubert continues her musical journey singing jazz in this live recording from the Poetry Jazz Café in Toronto’s Kensington Market, supported by a superb jazz quartet comprised of pianist Peter Hill, guitarist Eric St-Laurent, bassist Steve Wallace and Davide DiRenzo on drums. Hubert performs with an astounding, memorable sound. Her clear articulations of the storytelling lyrics are still present as she develops her expanding, still intense singing style in 13 contrasting cover tracks. The opening Mercer/Carmichael tune Lazy Bones is a great introduction to Hubert’s personal and at times idiosyncratic sound style, complete with swells, warble and growling vocal effects, and never over-the-top loud singing. A vocals/piano start leads to a full band rendition, with upbeat instrumental solos and background cymbal crashes nicely contrasting the vocal effects. The slower Ellington/Russell song I Didn’t Know About You has Hubert singing in a tenderly lush way, with dramatic held notes against standard jazz band backdrop sounds. The upbeat quasi cha-cha-cha tune Comes Love (Stept/Tobias/Brown) is another intense, unique rendition driven by a tight rhythmic groove. Great musical interplay between Hubert and her band, extended colourful and exciting instrumental solos and clear production values, including the appreciative audience applause, complete this excellent live release from this musically evolving artist. 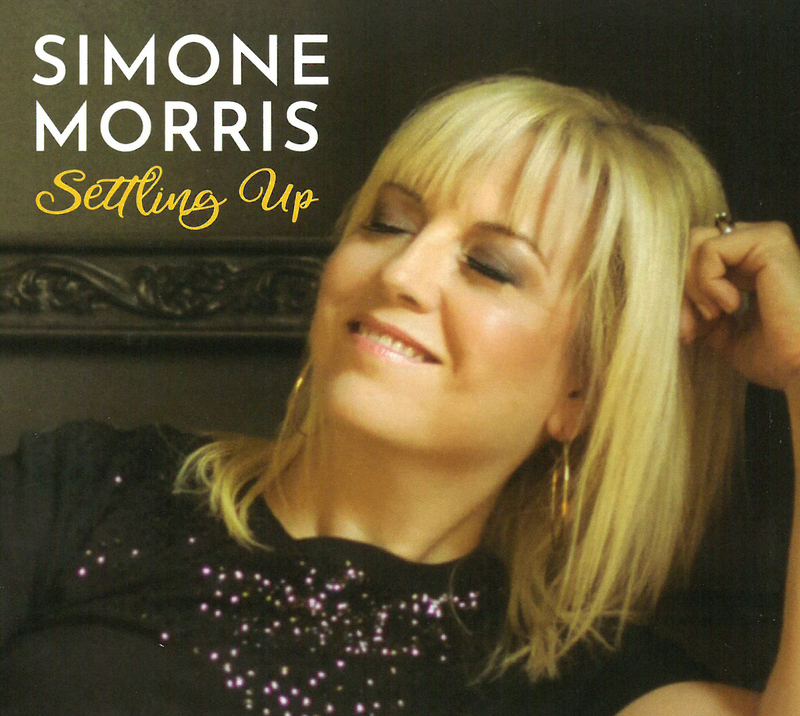 Toronto jazz vocalist Simone Morris’ debut album Settling Up is an absolute treat to the listener, a pop of delicious and sultry goodness in an otherwise dull and dreary day. The album was born out of a longtime collaboration with guitarist Mike Freedman, who is featured as a co-writer on each track along with Morris. Freedman’s mellow and fittingly soulful electric guitar licks, in combination with acclaimed pianist Adrean Farrugia’s delightful keyboard and piano riffs, add just the right amount of spirit to complement Morris’ soulful vocals. Not only do we receive an absolutely lovely and charming musical experience from this record, we are also able to catch a rare and intimate glimpse into Morris’ life experiences. Settling Up will delight jazz aficionados and newcomers alike.